HomeDEFEND BlogVisit Mydent International at IDS 2017! Visit Mydent International at IDS 2017! Mydent International is pleased to announce our participation at the USA PAVILION IDS 2017 in Cologne, Germany. Visit our booth to learn how Mydent can help grow your business! 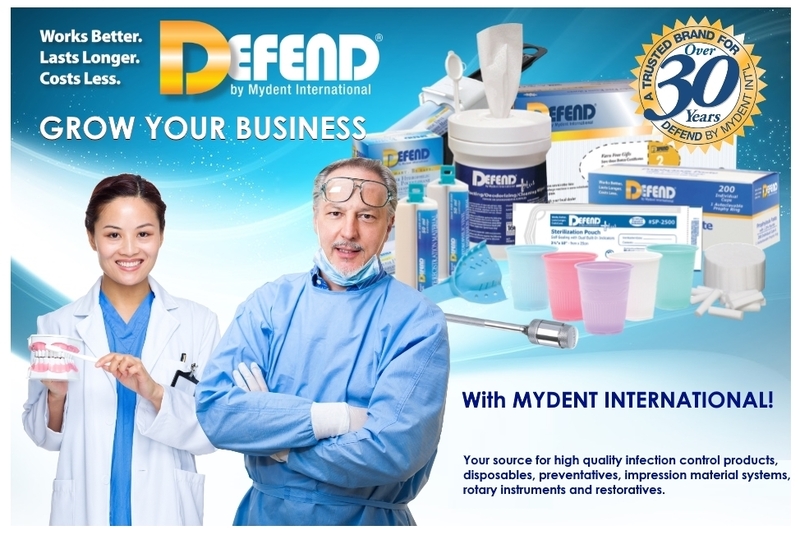 From award-winning sterilization products, impression materials, prophy paste, wipes and lab coats, to disposables and more, Mydent International manufactures more than 300 items used by dental professionals.